The Fathers have said that it is not characteristic of monks to become angry or to offend anyone, and furthermore, "He who has overcome anger has overcome the demons, but he who is overcome by this passion is a stranger to the monastic life." And what should we say of ourselves when we not only do not leave off irritability and anger, but also surrender ourselves to the remembrance of wrongs? What must we do but weep over such a pitiful and inhuman state of our souls? And so let us pay heed to ourselves O brethren, and let us strive with God's help to be delivered from this ruinous passion. If a disturbance should occur among the brethren or dissatisfaction arises, and one of them bows down to the other begging forgiveness, but even after this he continues to grieve and to harbor thoughts against the brother. This brother should not underestimate this but rather cut it off quickly, for this is the remembrance of wrongs; and as I have said, it requires much heedfulness from a man so that he will not become hardened in it and perish. One who has bowed down begging forgiveness, for the sake of the commandment, has in the given moment healed anger, but he has not yet labored against the remembrance of wrongs, and therefore he continues to have a grievance against the brother. For the remembrance of wrongs is one thing, anger is another, yet another is irritability, and another is disturbance. So that you might better understand this I will give you an example. He who is starting a fire first takes a small coal: this is the word of a brother that causes offense. For the time being this is only a small coal; for what is the word of your brother? If you bear it, you have put out the coal. But if you think, "Why did he say this to me? I will tell him such and such. If he had not wanted to offend me he would not have said this. I will offend him in return without fail." Here you have added twigs or something else which likewise will light a fire, and you have caused smoke, which is disturbance. Disturbance is the movement and arousal of thoughts which move and irritate the heart. Irritation is the vengeful uprising against the one who has caused sorrow, which is converted into audacity. As the blessed Abba Mark has said, "Malice nourished by thoughts irritates the heart, and it is destroyed by prayer and hope, which crush it." If you had borne the small word of your brother, you would have extinguished this small coal, as I have already said, before the disturbance could have been caused. However if you wish it can also be extinguished while it is still insignificant by means of silence, prayer, a single prostration from the heart. But if you will continue to smoke, that is, to be irritated and to stir up the heart by the remembrance, thinking, "Why did he say that to me, I will tell him such and such", then from this very stream and clash of thoughts, so to speak, the heart is heated and burns, and an inflammation of irritation ensues, for irritation is a fever of the blood around the heart, as St. Basil the great says. Here is how irritation occurs. It is likewise called acute biliousness (irascibility). If you wish you may extinguish it also before anger occurs, but if you continue to disturb and be disturbed, then you are like a man who places firewood on the fire and makes it blaze up even more, which produces many burning coals, and this is anger. Zosimas said, when he was asked what the expression means, "Where there is no irritation, their enmity is silent". For as we have said, if at the onset of some disturbance, when it begins to smoke and throw sparks, someone hastens to reproach himself and bow down to his neighbor begging forgiveness before irritation can flare up, he has preserved peace. By the same token, if he does not remain silent when the irritation is enkindled but continues to be disturbed and to stir himself up, he will become, as we have said, like one who places wood on the fire, and the wood will burn until it finally turns into a pile of smoldering coals. And just as smoldering coals can be preserved several years unharmed if they are extinguished and gathered together, and even if should someone pour water on them they will not decay, so also anger if it stagnates turns into the remembrance of wrongs, from which a man is not delivered unless he sheds his own blood (that is, makes great labor and efforts). And so I have shown you the difference. Do you understand? You have heard what initial disturbance is and what irritation is, what anger is and what the remembrance of evil is. Do you see how one can proceed to such an evil from a single word? For if you would have reproached yourself at the onset, and patiently borne your brother's words without cherishing the desire to revenge yourself upon him, to say two or five words for his one, returning evil for evil, then you would have been delivered from all these hazards. Therefore I say to you: always cut off the passions while they are still young, before they have become strongly rooted in you and begin to oppress you—for if you don’t you will suffer much from them, because it is one thing to uproot a small sprout and another to uproot a great tree. I am astonished at nothing so much as the fact that we ourselves do not understand what we sing. For we sing every day, cursing ourselves, and do not understand this. Should we not understand what we sing? We constantly say If I have paid back evil to them that rendered evil unto me, then let me fall back empty from mine enemies (Ps. 7:4). What do the words fall back empty mean? While one is still standing he has the strength to combat his enemy—either he strikes or is struck, either he vanquishes or is vanquished; nevertheless, he stands. But if he should happen to fall, how can he fight against his enemy while lying on the earth? And we pray for ourselves not only that we should fall from our enemies but that we should fall back empty. What does it mean to fall back empty from the enemy? We have said that to fall means to have no more strength to resist—to lie on the ground; but to be empty means to have nothing good which might enable us to somehow arise. For one who has strength to arise can take care of himself and then enter again into battle. Then we say, Then let the enemy pursue my soul, and take it; not only let him pursue it, but take it, let us be subject to him, let us submit to him in all things and in every matter; let him overtake us, if we should return evil to the one who does evil to us. And not only do we pray about this, but we also say, let him tread down my life into the dust. What is our life? Our life is virtue, and we pray that the enemy might trample it into the dust. That we may become completely earthly, and that all our wisdom may be nailed to the earth. And my glory let him bring down into the dust. What is our glory if not God's knowledge acquired by the soul through keeping the holy commandments? And so we entreat that the enemy might turn our glory, as the Apostle says, into our shame, so that he might settle it in the dust and make our life and our glory earthly, so that we might not be wise according to God, but entirely bodily, fleshly, like those of whom God said, My spirit shall certainly not dwell among these men forever, because they are flesh (Gen. 6:4). So you see how we curse ourselves when we sing all of this if we then return evil for evil? And how often do we return evil for evil without the slightest concern about this, paying no attention to it?! One may return evil for evil not only in deed, but also in word and appearance. One may think that he is not returning evil for evil, but actually, as I have said, he returns it by word or by his countenance—for a man can disturb his brother by his countenance alone, or by a movement or glance. When we offend our brother by a glance alone or a movement of the body, this is also returning evil for evil. Another may strive not to revenge himself evilly either in deed, word, appearance or movement, but in his heart there is dissatisfaction against his brother and he is upset with him. Do you see how different these dispositions of soul are! Another may not have a grievance against his brother but he rejoices if he hears that someone has offended him in some way, has scolded him or belittled him; and thus does he also return evil for evil in his heart. Another man does not nurture malice in his heart and does not rejoice when he hears about his offender's humiliation; he even grows sad if offence is made to him. However, he does not rejoice over his good fortune, but rather grieves when he sees that people praise and please him, and this is also a form of remembrance of evil, however light. 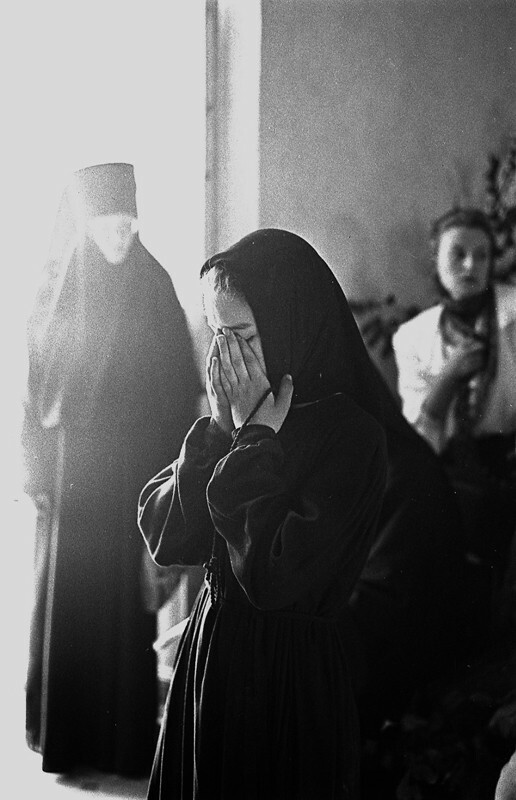 Each of us should rejoice over our brother's consolation, and do everything in order to render him honor. We said at the beginning of this chapter that even after bowing down to his brother, a man may yet continue his grievance against him. We said that he has healed his anger by making his prostration, but has not yet struggled against the remembrance of evil. Yet another man is offended by his brother, but the two bow down to one another and are reconciled, and he lives in peace with him and harbors no thoughts against him in his heart. But when after some time that brother again makes an offensive remark, he recalls the previous events as well, getting disturbed over the first offense as well as the second offence. He is like a man who has a wound to which he applies a plaster—the wound is presently healed and grown over, but the spot is still painful, and if someone were to throw stones at him, this spot would be injured before the rest of the body and would immediately begin to bleed. It is the same with that man who was previously offended. He had a wound and he applied the plaster—that is, he made a prostration, and just like the first one he healed the wound, that is, anger. He likewise begins to direct his strength against the remembrance of wrongs, trying not to nourish a single thought in his heart, for this is what is meant by the covering over of the wound. But it has not completely healed—there is yet a remnant of remembrance of wrongs which is the cover over the wound, and from it the whole wound may be opened again if the man receives a light blow. Therefore, one should struggle to completely cleanse the inward festering so that the afflicted place might be completely healed, so that no deformation would remain, and it would be impossible to tell that there had even been a wound on this place. How can one achieve this? By praying with his whole heart for the brother who has offended him, saying, "O God! Help my brother and me for the sake of his prayers." This way a man prays for his brother, and this is a sign of compassion and love. He is also humbled, begging help for himself for the sake of his brother's prayers. Where there are compassion, love, and humility, how can irritability or the remembrance of wrongs or any other passion flourish? Abba Zosimas has also said, "Even should the devil conjure all his cunning and his malice together with all his demons, it is all made void and vanquished by humility according to the commandment of Christ." And another elder said: "He who prays for his brother will not have remembrance of wrongs." Put this into practice and you will understand what you now hear; for in truth, you will not learn this by simply hearing it. What man desiring to learn an art can apprehend it through words alone? No, first he works and ruins, works and destroys his work; and thus by his labors and patience he learns the art with God's help, Who looks upon his labor and good intentions. And we wish to learn the art of arts through words alone, without putting them into practice. Is this possible? Let us therefore pay heed to ourselves, O brother, and labor with diligence while we still have time. May God grant us to remember and to fulfill what we hear; that it may not serve to our condemnation on the day of the Lord's judgment. To God belong glory, honor and worship to the ages of ages. Amen. Blessed !! In the Name of the Father, Son, and Holy Ghost! !